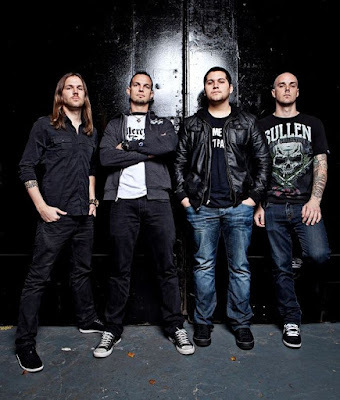 As a result, “Dust” also features the lineup of guitarist/vocalist Mark Tremonti, guitarist Eric Friedman, bassist Wolfgang Van Halen and drummer Garrett Whitlock. “Some of my favorite songs are on the second record,” says Tremonti. “The title track, ‘Dust’, I think, has the best chorus of the whole recording process. ‘Dust’ has my favorite solo. The opening track, ‘My Last Mistake’, is one of my favorite songs. It's got the big ballad of the two records. It's definitely not the 'b-sides' of ‘Cauterize.’"
"Dust" is available now for preorders at fret12.com, including exclusive fan bundles that include autographed CDs, handwritten lyric sheets, and the opportunity for supporters to have their name listed in the project’s liner notes. Tremonti will kick off a European tour on May 31 in Aschaffenburg, Germany.